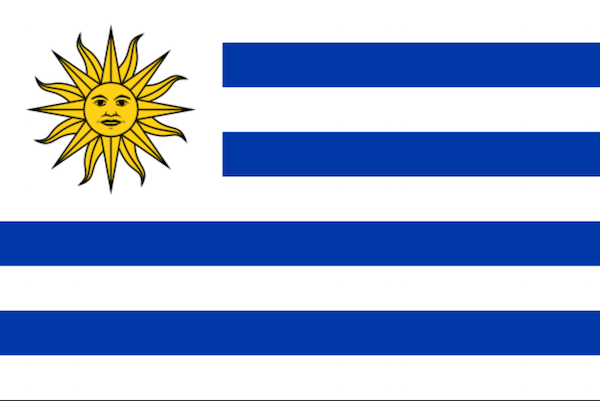 With a population smaller than Los Angeles, Uruguay is per capita by far the most successful soccer nation. At this World Cup, Uruguay, which faces Portugal in the round of 16 on Saturday, finished first in Group A, with three wins, five goals scored, zero goals conceded. "Other countries have their history. Uruguay has its soccer," said Ondino Viera, Uruguay’s coach at the 1966 World Cup. Uruguay, then with a population of just 2 million, was named host of the first World Cup because it won the previous two Olympic tournaments and it offered to pay travel costs of all entrants. It also used the tournament to celebrate its 100th anniversary of independence. Uruguay beat Argentina, 4-2, in the final. Instead of a knockout format, the 1950 World Cup consisted of round-robin group play that led to a final game in which Brazil needed just a tie against Uruguay to lift the title. Some 200,000 people attended, expecting to celebrate Brazil’s first World Cup title in Rio de Janeiro. After they sang the national anthem, the governor of Brazil said to the team, “Fifty million Brazilians await your victory.” Brazil scored two minutes after halftime, but gave up the equalizer from Juan Schiaffino 20 minutes later. With 11 minutes left, Alcides Ghiggia scored for a 2-1 Uruguay win. “Only three people have, with just one motion, silenced the Maracana: Frank Sinatra, Pope John Paul II and me,” said Ghiggia, who died on July 16, 2015, 65 years to the day after the game. Uruguay’s South American rivals Brazil and Argentina have populations of 208 million and 44 million, respectively, but Uruguay has won a record 15 Copa Americas, followed by Argentina’s 14 and Brazil’s 8. Uruguay missed the 2006 World Cup, but finished fourth at the 2010 World Cup and won the 2011 Copa America. It beat England and Italy to reach the round of 16 in 2014, losing to Colombia without suspended Luis Suarez. Uruguay’s coach is the oldest (71) and longest-serving returning coach with the same team at the 2018 World Cup, having been at the helm for the last dozen years, more than twice as long as 29 other bosses at this World Cup. El Maestro – he taught elementary school between his playing career and coaching -- also coached Uruguay to a second-round appearance at the 1990 World Cup and a runner-up finish to host Brazil at the 1989 Copa America. Seattle Sounders star Nicolas Lodeiro, a 2016 MLS Cup winner, was part of Uruguay’s 2000 and 2014 World Cup teams but was a final cut this time around. Hall of Famer Tab Ramos, who played in three World Cups for the USA and at the 1988 Olympics, was born in Montevideo and immigrated to the USA at age 11. Ramos is currently U.S. U-20 national team coach. Fernando Clavijo, was born in Maldonado in 1956 and came to the USA from Uruguay in 1979 to play for the New York Apollo of the American Soccer League. He played on the USA team that reached the second round of the 1994 World Cup. Clavijo is currently FC Dallas technical director. Of Uruguay’s 16 first division teams, 13 are based in Montevideo. Stars move abroad quickly. Only two members of La Celeste’s 23-player World Cup squad, Penarol's Guillermo Varela and Cristian Rodriguez, are Uruguay-based. The rest play in Argentina, Brazil, France Italy, Mexico, Portugal, Spain and Turkey. Luis Suarez and Edinson Cavani moved to Europe at age 19 and 20, respectively. Suarez's two goals in Russia raise his World Cup total to seven, one behind all-time Uruguay leader Oscar Miguez (1950 and 1954). 4 comments about "Amazing Uruguay: 10 things to know about La Celeste". 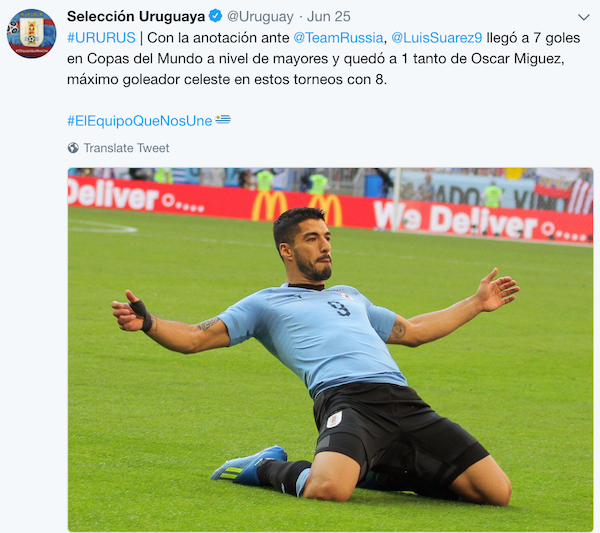 Ben Myers, June 28, 2018 at 1:16 p.m.
Looks like Uruguay's biggest export is soccer players, like Iceland. frank schoon replied, June 29, 2018 at 2:59 p.m.
Ben , when it comes to Iceland, I think the word "soccer player" is used rather loosely. Obviously that country is not big enough to have a decent league....Likewise, I often wonder how those Central American countries are able to have a decent league..
Randy Vogt, June 28, 2018 at 1:50 p.m.
Fun Fact #11. Futsal originated in Uruguay in 1930 when Professor of Physical Education at the YMCA of Montevideo, Juan Carlos Ceriani, created it to be played on local basketball courts. Soccer was exceedingly popular in Uruguay, especially after it had won the inaugural World Cup in 1930 and gold medals in the 1924 and '28 Summer Olympics. I had read that Ceriani created an indoor version of it to be played as the soccer fields were filled to capacity as well as he was tired of rain-soaked fields and cancelled training sessions outdoors. frank schoon, June 29, 2018 at 3:01 p.m.
SA, should write an article on how the youth develop there.